PT Berlian Jasa Terminal Indonesia - PT BJTI or referred to as BJTI Port is a well-established port services company in Indonesia, based in Surabaya East Java. 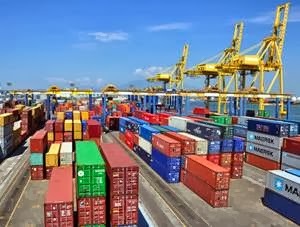 BJTI Port has core business competencies in domestic container unloading at Berlian Terminal Tanjung Perak Port of Surabaya. PT Berlian Jasa Terminal Indonesia is a member of PT Pelabuhan Indonesia III (Persero) or known as Pelindo 3 Group, a leading state-owned port operator Indonesia. At present, PT Berlian Jasa Terminal Indonesia is 96.84% owned by Pelindo 3 Group and 3.16% by KOPELINDO III. Originally registered as Divisi Usaha Terminal Serbaguna (DUTS) or Multipurpose Terminal Business Division of Pelindo 3 Group and was established as a separate legal entity in 2002. PT Berlian Jasa Terminal Indonesia now has 6 subsidiary companies, namely PT Berlian Manyar Sejahtera (BMS), PT Berkah Kawasan Manyar Sejahtera (BKMS), PT Pelindo Property Indonesia (PPI), PT Terminal Curah Semarang (TCS), PT Terminal Nilam Utara (TNU), and PT Energy Manyar Sejahtera (EMS). In term of financial performance, PT Berlian Jasa Terminal Indonesia posted an increase of 0.92% in net revenues from Rp 924.30 billion in 2014 to Rp 932.81 billion in 2015. Total comprehensive income for the year decreased 16.21% from Rp 218.25 billion in 2014 to Rp 182.87 billion in 2015, according to PT Berlian Jasa Terminal Indonesia Annual Report 2015 as cited by JobsCDC.com. Male, maximum age of 45 years old on 1 May 2017. Background in SMA/SMK is preferred. Previous experience as Operator Head Truck. Have driving license class B1 (SIM B1) is preferred. JobsCDC.com now available on android device. Download now on Google Play here. Please be aware of recruitment fraud. The entire stage of this selection process is free of charge. PT Berlian Jasa Terminal Indonesia - Operator Head Truck Pelindo 3 Group August 2017 will never ask for fees or upfront payments for any purposes during the recruitment process such as transportation and accommodation.